Chain Conveyor Used In Paper Mill, Chain Conveyor Conveying Waste Paper. Chain Conveyor used in paper mill is mainly used for conveying waste paper or wood in bundles, This is the chain conveyor delivery site for Nigeria 500t/d corrugated/t paper making project. Paper Mill: Nigeria Paper Mill. 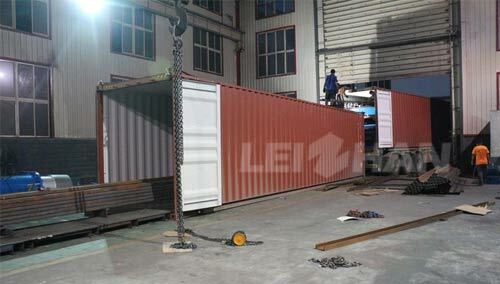 Shipment Equipment: Chain Conveyor and accessories for paper machinery installation. Nigeria customer ordered our complete pulping line this time, we can design the full set toilet/tissue/corrugated/kraft/cultural paper pulping line for paper mill, and also provide paper machine and pulp equipment spare parts for paper making machine, if you have any need, welcome to consult us: leizhanchina@gmail.com.